A sudden case of swollen tonsils may indicate acute tonsillitis. Bacteria that build up over time cause bad breath and set the stage for frequent infections and chronic tonsillitis. People with tonsillitis have a very store throat. Strep throat can cause acute tonsillitis and can be treated with antibiotics. A doctor may recommend tonsil removal if tonsils are infected on a regular basis. Acute tonsillitis is a sudden case of inflammation or swelling in the tonsils. These organs are located in the back portion of the throat. Each person generally has two of these oval shaped structures. Often, a doctor can spot inflamed or enlarged tonsils upon visual inspection of the throat. Even though any person can get tonsillitis, it usually affects young children. A person may develop acute tonsillitis when viruses and bacterias enter the body. Most commonly, it is a viral infection such as a cold or flu which leads to the illness. Typically, the tonsils are equipped to help the body fight off germs and bacteria, however, it is possible for them to become overwhelmed by bacteria growth. When this happens, a tonsil infection may occur. It is possible for the infection to spread into other organs in the throat such as the pharynx, which may cause an additional infection known as pharyngitis. Most people with acute tonsillitis will have a sore throat. There may also be a significant amount of throat and neck pain. As a complication of the swollen tonsils and soreness in the throat, swallowing may become quite difficult. Some people may become very hoarse or even lose their voice. Another symptom of this condition may be bad breath. Due to the inflammation in the throat, an individual with tonsillitis may lose his or her appetite. This may be due to not feeling hungry or the pain associated with trying to swallow. Other tonsillitis symptoms may include a stiff neck, fever, fatigue and a headache. Young children and babies may display additional symptoms such as irritability, unwilling to nurse and abdominal pain. 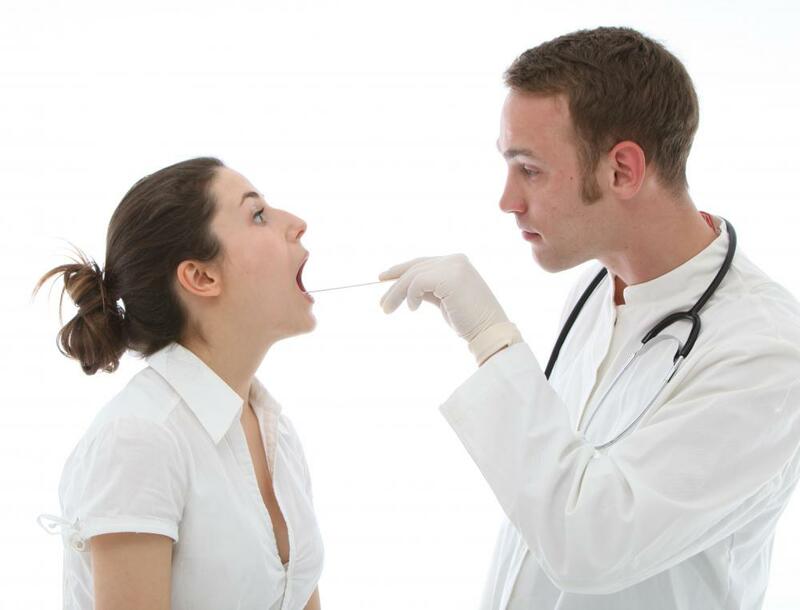 A throat swab may be done to diagnose acute tonsillitis. When this is done, a physician will collect secretions from the back of the throat using an sterile elongated swab. This is generally considered a painless procedure, although some gagging may be induced by having the swab placed into the throat. A blood test may also be performed to diagnose tonsillitis. Blood tests may be done to detect whether the infection is of a bacterial or viral origin. 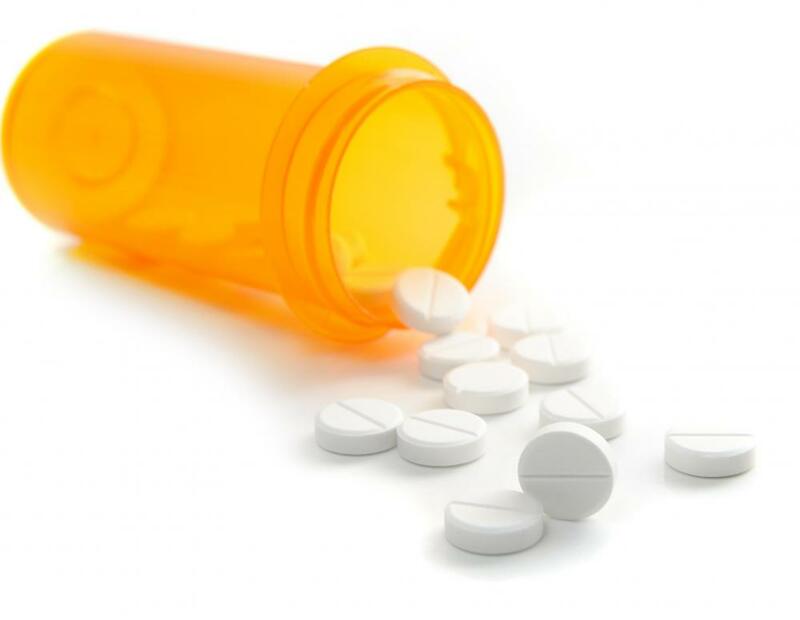 Antibiotics are usually prescribed to individuals with acute tonsillitis caused by a bacterial infection. Commonly, a bacteria known as streptococcus pyogenes may cause this condition and it commonly causes strep throat as well. When a viral infection is the cause, antibiotics may not be prescribed. Instead, doctors may advise the patient to drink an abundance of fluids, rest and take pain relievers to reduce throat pain and fevers. If the tonsils are so severely swollen that breathing is compromised or if the condition becomes chronic, the tonsils may need to be removed by surgery. What Is the Connection between Strep Throat and a Stiff Neck? What Causes a Stiff Neck and Sore Throat? How Do I Treat a Hoarse Baby? 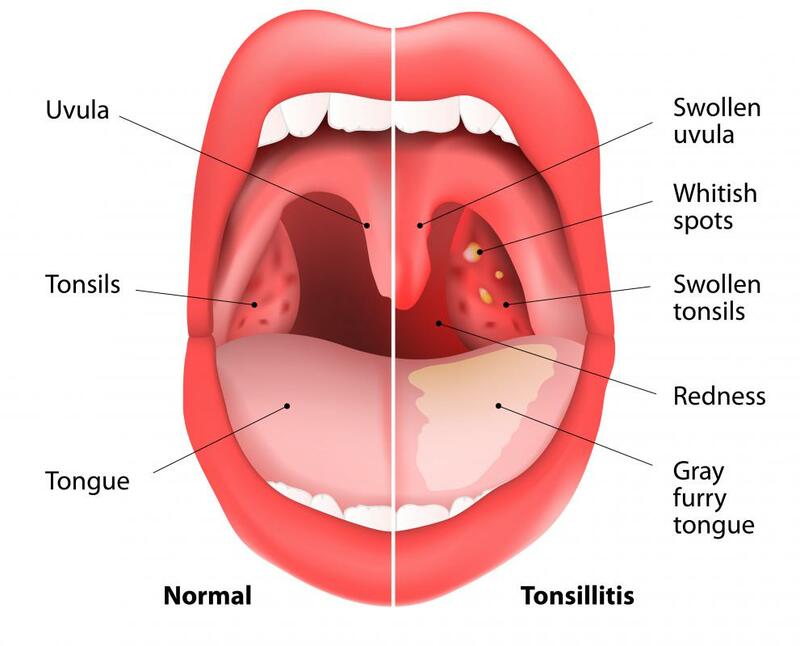 How Common is Tonsillitis in Adults? What is the Best Remedy for Tonsillitis? I am 45 years old. I am suffering from acute tonsillitis and already have taken antibiotics but i can't feel good. tonsillitis is usually pain and sore throat. is there an acute tonsillitis possibility due to an acidic problem? if so, please advise me the treatment process.